In this award-winning debut, Sjohnna McCray movingly recounts a life born out of wartime to a Korean mother and an American father serving during the Vietnam War. Their troubled histories, and McCray's own, are told with lyric passion and the mythic undercurrents of discovering one's own identity, one's own desires. What emerges is a self- and family portrait of grief and celebration, one that insists on our lives as anything, please, but singular. 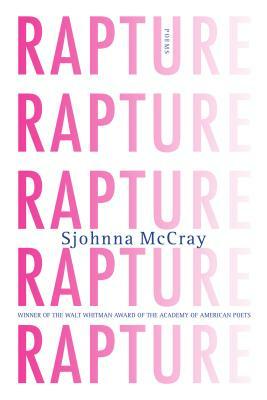 Rapture is an extraordinary first collection, with poems of rare grace and feeling. Sjohnna McCray has published poems in Black Warrior Review, Callaloo, The Southern Review, and elsewhere. He received his MFA from the University of Virginia. He teaches at Savannah State University and lives in Georgia.